Weed seeds that incorporate an indica-dominance often provide a particularly relaxing effect to the smoker once the yield of these cannabis seeds is ready to be harvested. 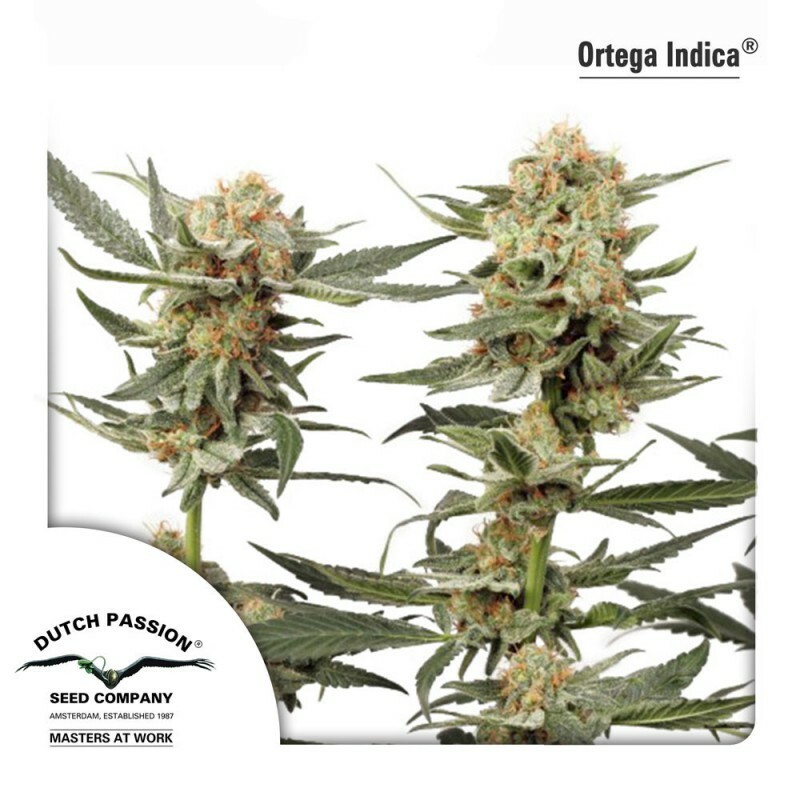 That also applies to the weed seeds of the Ortega Indica by Dutch Passion; to put it even more strongly, that applies to the Ortega Indica to an extreme extent. Weed seeds that incorporate an indica-dominance often provide a particularly relaxing effect to the smoker once the yield of these cannabis seeds is ready to be harvested. That also applies to the weed seeds of the Ortega Indica by Dutch Passion; to put it even more strongly, that applies to the Ortega Indica to an extreme extent. The person who wants to relax without having to deal with inconvenient consequences the next morning, should certainly try this type! The high and stoned experience the smoker feels is perfect: not too light but definitely also not too heavy. These weed seeds just offer the grower a very accessible type of cannabis. Prior to consumption, the seeds of course first have to be sown. The plants growing from these cannabis seeds by Dutch Passion are compact and therefore extremely suitable for the indoor cultivation. The yield is excellent so buying cannabis seeds of the Ortega Indica always provides an end result you may be proud of.